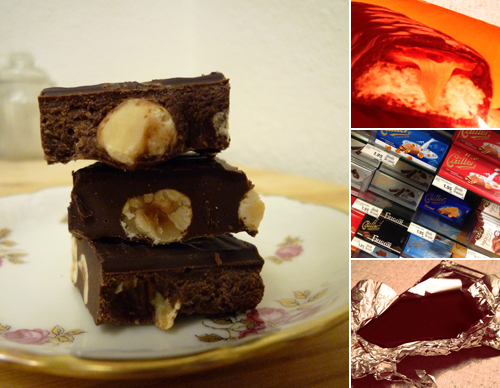 I am a very healthy person and don’t want to do without organic food during my holiday in Zurich. Where can I shop? There are several Müller Reformhaus around town, they offer a wide range of quality organic food and friendly advice. At Stauffacher and at ShopVille in the Central Railway Station you’ll find the Egli Reformhaus which makes the organic food lovers heart beat faster. The organic shop L’ULTIMO BACIO in Wipkingen or the Markthalle at Viadukt are definitely worth a visit too. 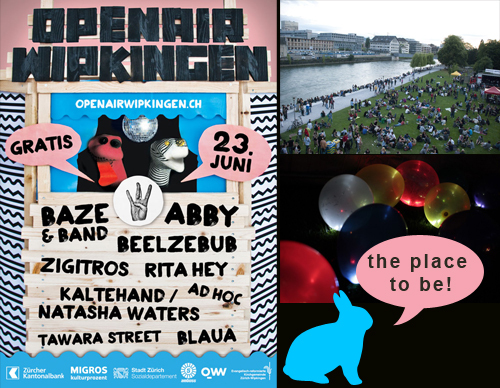 A few weeks after Stolze Openair in Oberstrass, Wipkingen is THE place to be: Openair Wipkingen is taking place this Saturday! 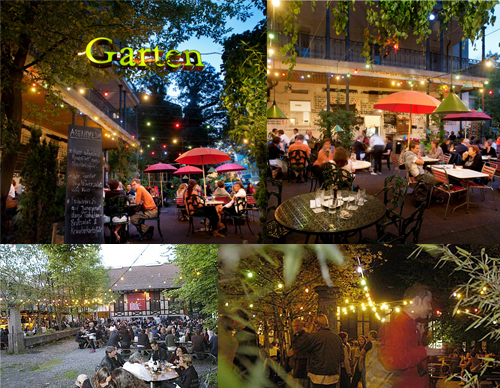 At the lovely riverside of the Limmat, in the Wipkingerpark, meet dancers, night owls, families and hipsters to listen to great music from home and abroad, such as Zigitros, Tawara Street or Abby. The atmosphere is relaxed and you can drink, eat, listen, dance or even swim and all that for free. Have fun!